Tech Vivo is my blog about how bioengineering and bio-inspired design can help create more efficient, sustainable technology. This blog is my outlet for explaining the science behind new biotechnology, the practicality of their applications, and what pitfalls may be on the horizon. In DesignerBiology, we look at stories pertaining to bioengineering and synthetic biology. Synthetic biology is an emerging biotech field that hopes to allow scientists and engineers to design organisms to suit particular needs, such as biofuel production, environmental restoration, or even natural lighting. Advocates of bioengineering believe that engineering biological systems will allow us to improve our quality of life in a more environmentally sustainable way. The VisViva series focuses on the potential of bio-inspired materials and devices to improve energy efficiency, environmental durability, aesthetic appeal, and more. Bio-inspiration is an engineering principle that uses the diversity and ingeniousness of nature to find prototypes for solving new engineering challenges. These fields are closely related to my own FirstHand research experience. Finally, ModelEphant is dedicated to showing the ins and outs of biological modeling and biological systems analysis. It started as an expansion of an online course I designed to introduce biologists to modeling with differential equations. 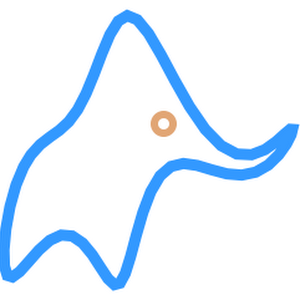 Modelephant was developed as a living tutorial, spanning from simple introductory concepts to technical surveys on specific topics. I update it with new modeled systems and new viewpoints on how modeling methodologies are improving.